It is mostly known as Den Bosch, but the whole name is ‘s-Hertogenbosch and this year it will celebrate “Bosch 500 year”: a festival throughout the whole province celebrating the half-a-millennium death anniversary of Dutch early painter Jheronimus van Aken. Who!? Yes, him: Jheronimus van Aken, aka Jheronimus Bosch. Better known for his fantastic imagery, monsters, demons and angels; but also for his depictions of geometric illusions and thrilling nightmares. 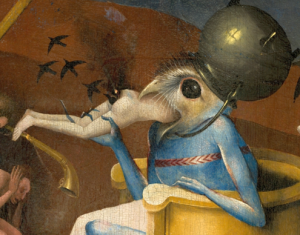 Painter of the macabre and precursor of the gothic, Bosch’s hell and death has inspired the following generations until modern horror writers and film directors. Good news: the Municipality decided to play big numbers. So the Noordbrabants Museum recently inaugurated the exhibition “Visions of a genius” (opened until May 8th), which recollects Bosch’s masterpieces from all over the world. 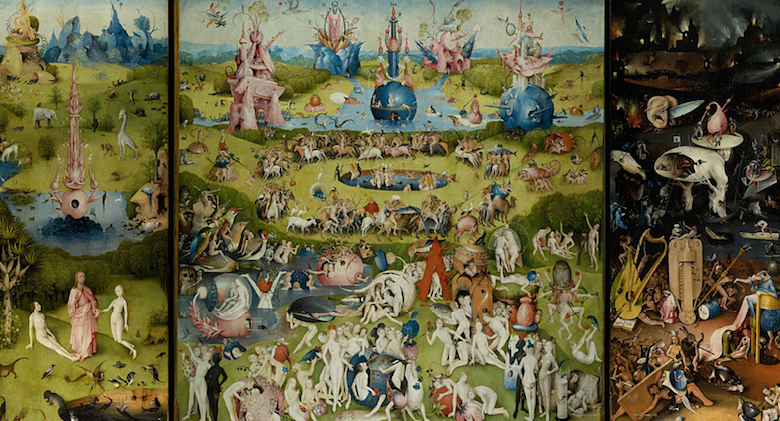 Also, from March 5th, you will be also able to personalize a city tour into the streets of Den Bosch in order to know more about the painter and his life: from a “wondrous climb” to the cathedral’s roof to an “heaven and hell cruise” along the river and a nocturnal light show called, with rather scarce imagination, “Bosch by night”. But I’m not finished. 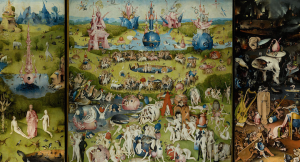 The anniversary is so important that 2016 – so now – will be the “Jheronimus Bosch Year”. And 11 exhibitions in Breda, Eindhoven and Tilburg are linked together into the attractive “Bosch Grand Tour”: a definitive journey through contemporary art, design and cultural works influenced by Bosch’s freak paintings. 500 years later.